Dutch historiography has traditionally concentrated on colonial successes in Asia. However, the Dutch were also active in West Africa, Brazil, New Netherland (the present state of New York) and in the Caribbean. In Africa they took part in the gold and ivory trade and finally also in the slave trade, something not widely known outside academic circles. P.C. Emmer, one of the most prominent experts in this field, tells the story of Dutch involvement in the trade from the beginning of the 17th century–much later than the Spaniards and the Portuguese–and goes on to show how the trade shifted from Brazil to the Caribbean. He explains how the purchase of slaves was organized in Africa, records their dramatic transport across the Atlantic, and examines how the sales machinery worked. 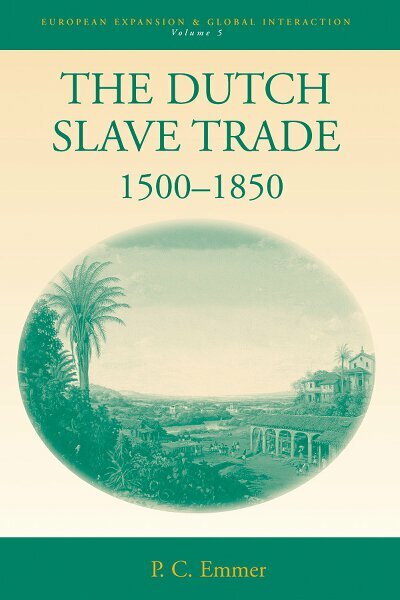 Drawing on his prolonged study of the Dutch Atlantic slave trade, he presents his subject clearly and soberly, although never forgetting the tragedy hidden behind the numbers – the dark side of the Dutch Golden Age -, which makes this study not only informative but also very readable. Pieter C. Emmer is Professor of the History of the Expansion of Europe and the related migration movements at University of Leiden. He was a visiting fellow at Churchill College, Cambridge, UK (1978-79), at the Wissenschaftskolleg Berlin (2000-2001) and at the Netherlands Institute for Advanced Study (2002-2003), Wassenaar, The Netherlands. He served as visiting professor at the University of Texas at Austin (1986-87) and at the University of Hamburg, Germany (1996-97). Pieter Emmer is member of the Editorial Boards of the Journal of Imperial and Commonwealth History, Jahrbuch für die Geschichte Lateinamerikas, Studien zur historischen Migrationsforschung, Journal of Caribbean History, Itinerario and author of The Dutch in the Atlantic Economy, 1580-1880 (Aldershot, 1998) and co-editor of Migration, Integration, Minorities, a European Encyclopaedia to be published by Cambridge University Press. In 2004, he became a member of the Academia Europaea. To be Forgotten or Remembered? The Greatest Crime against Humanity? Did European Goods Harm Africa? Where Did the Slaves Come From? Why Did Africa Let So Many Slaves Go? Why did the Plantations always Need More Slaves? How Guilty is the Netherlands?